Apple has released the second beta version of macOS 10.13.5 High Sierra for Mac users involved in the system software beta testing program. MacOS 10.13.5 beta 2 arrives a day after iOS 11.4 beta 2 became available, the latter of which also just became available to public beta testers. MacOS 10.13.5 appears to focus on bug fixes and minor enhancements to High Sierra, and likely does not include any major new features or capabilities. It appears that MacOS 10.13.5 beta is testing iMessages in iCloud again however, which is a feature that was to also being tested in macOS 10.13.4 and iOS 11.3, but was pulled before public release. Whether or not iMessages in iCloud will make it to the final round of these system software releases remains to be seen. Mac users enrolled in the MacOS High Sierra beta testing program can find the macOS 10.13.5 beta 2 download available now from the Mac App Store Updates section. Apple usually goes through a multitude of beta releases before unveiling the final version of system software to the general public, this suggests a final release of macOS 10.13.5 is some time away, perhaps arriving closer to the annual WWDC conference in early June. 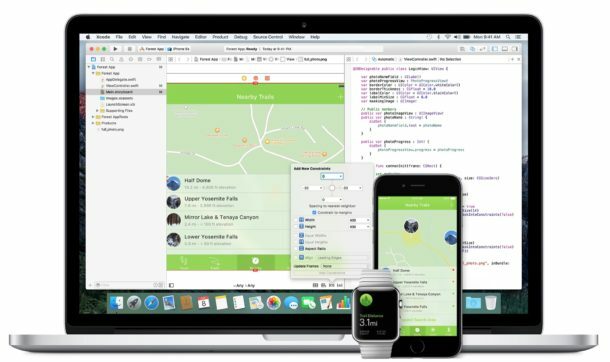 The most recent stable builds of system software for Apple hardware is currently MacOS 10.13.4 High Sierra for Macs, and iOS 11.3 for iPhone and iPad.